Hunting isn’t easy. Any hunt can turn into a grind. 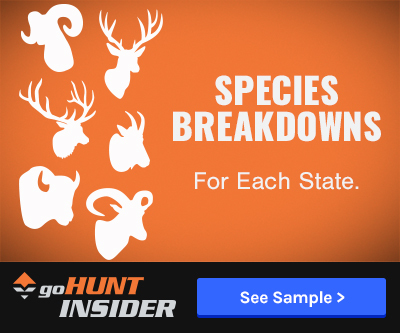 Poor weather, low animal densities, and hunting pressure can all drastically affect the overall scope of a hunt. Whether your hunt is on a premium tag, or an over-the-counter (OTC) tag, approaching a hunt with the right mindset can be key. 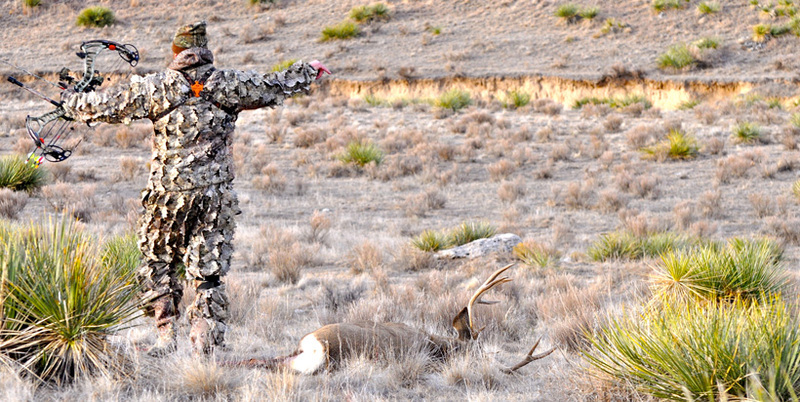 Here are some tricks I have learned from hunters who are much more successful afield than me. Apply these little tricks and you just may be surprised at the results. Every hunt starts with the arduous packing process. Packing quickly or rushing to pack can set a negative tone for your hunt. The earlier you pack, the less pre-hunt packing stress you will encounter. 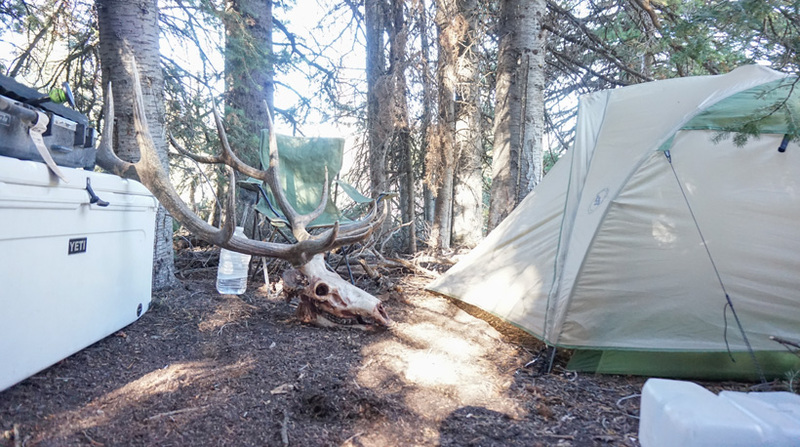 Whether you are headed to the backcountry or truck camping, getting the packing process started a month before the hunt can help the flow of the hunt immensely. Pre-hunt meal planning is also critical. A good friend of mine is fond of saying that “half of huntin’ good is eatin’ good.” It doesn’t matter where you hunt -- eating well and eating enough is just as important as the rest of the trip. Make sure to review your meals well before your hunt to ensure that you are getting adequate nutrients. Little Debbie’s are fantastic, but trying to subsist on those alone on a hunt can make for a disaster. 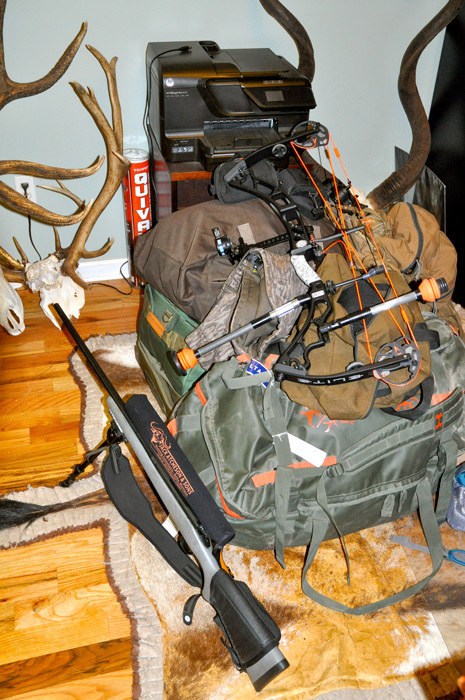 Week 1 - Gather, wash, and begin packing your hunting clothes. Check optics to be sure you have everything you need. Remember to check batteries in each electronic device. Week 2 - Final bow or gun preparation before the hunt. Spend some additional time with whatever weapon you will be taking on the hunt. Make a list of any additional shooting supplies you may need and procure them (bullets, powder, arrows, broadheads, etc.). Week 3 - Organize camp supplies. Cooking supplies, paper products, plastic utensils, etc. Once again, make a list and make sure you have all the things you need. Week 4 - Food and personal items. During the final week leading up to a hunt the only items I want to have to worry about are perishable food items and personal items (books, magazines, iPod) I like to take on every hunt. Following this general packing plan may help you avoid some pre-hunt stress and will ensure that you do not forget any items that will be critical to the success of your hunt. There is no greater feeling than the moment you walk up on a hard earned trophy. 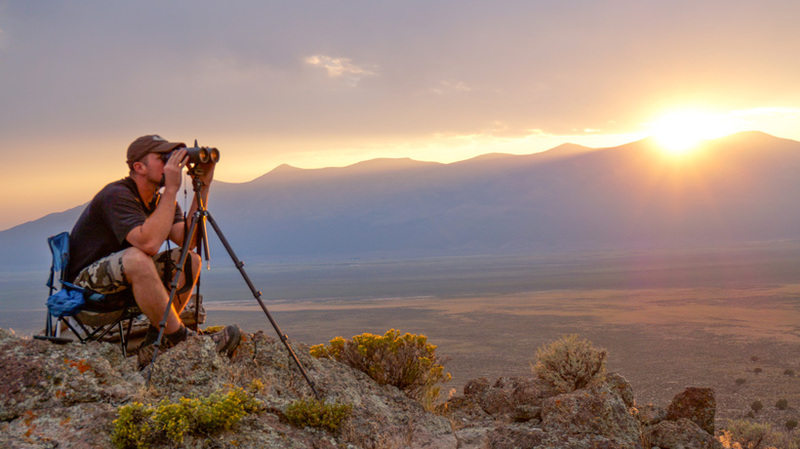 Once you arrive in your hunting area, establishing a daily routine is critical. Getting sufficient sleep and eating well are essential components to maintaining your mental edge throughout the hunt. No matter how you cut it, eventually fatigue will set in. Establishing a pace that allows you to consistently grind away without missing morning hunts is key. Organization and maintaining a clean camp can be a major part of maintaining this pace. There are few things worse than losing track of gear mid-hunt. Establishing a schedule for procuring water, taking trash to town, and locating a place to take a “nice shower” are all parts of establishing this routine. A photo taken in camp after a successful trip in Nevada. This hunt wasn’t without its ups and downs. During early season hunts, this routine may include taking naps in the middle of the day. On hunts later in the year, your morning dressing routine is likely to take much longer due to cold temperatures. Whatever terrain or weather you are up against, establishing a solid routine will help with all aspects of the hunt. Odds are at some point on your hunt you are going to encounter conditions that just aren’t any good. This may be a weather event, you may have an equipment issue, or you might just not be feeling well. Take a break when these conditions arise. Going out in a rainstorm will generally lead to more problems than successes, especially if you are hunting alone. The same is true if you develop a cold or some other condition that if not addressed early on will inhibit your activity the rest of the hunt. One of my favorite all time hunting area rest stops. 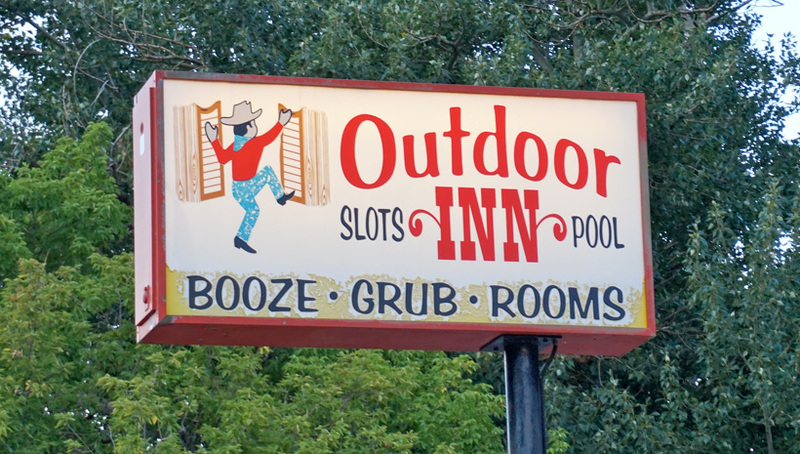 The Outdoor Inn offered showers, laundry, phone service, and good food all under one roof! Whether your hunt is three weeks or seven days, sometimes it is necessary to take a break. If you do decide to take a day or hunt off, use the time to repair your gear, reorganize camp, and, most importantly, get some sleep! Days off are a great time to prepare more labor-intensive meals and make sure you are addressing all of your nutritional needs as well. Morale boosters such as a shower or a hot meal at a local diner are also great things to do during times you take off from hunting. 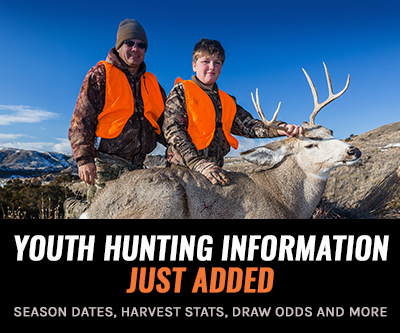 While you may feel like you are wasting time, avoiding “burning out” with a day off can make or break a hunt. I find that reading about hunting helps with the anticipation of the upcoming mornings hunt a bit. Wheter you are sitting around hunting camp or making your way through an airport to a hunt, nothing beats a good hunting book. A second to last day buck taken after a extremely long grueling hunt. Bad weather along with unseasonably cold temperatures made for a tough hunt. If you are lucky enough to have a “premium tag” in your pocket this fall it is important that you set and maintain realistic expectations for the hunt. Each year animals are taken in premium units that become viral on social media and other internet venues. 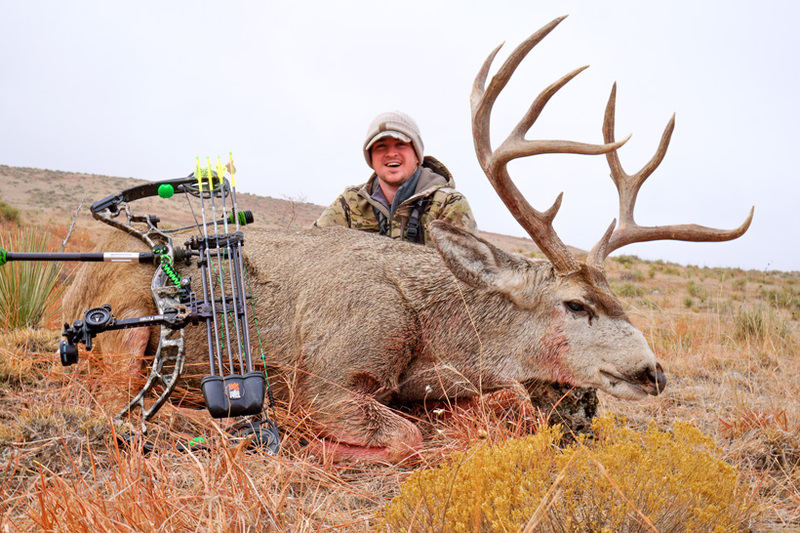 The truth is that not every bull taken out of a premium elk unit is 400”. Not every buck taken off the Arizona strip scores over 240” either. That is the reality. Drawing a premium tag is major moment for all of us. There is no real gauge for the amount of time, energy and effort put forth when one of these tags magically appears. I encourage any premium tag holder to set some realistic expectations and focus on the “journey” of the hunt versus the “destination.” This approach will make the hunt more enjoyable and, hopefully, the result is one of the viral bucks or bulls we all drool over each fall. After a particularly uneventful early season whitetail hunt, this buck showed up out of nowhere on the last day of the hunt. This may sound a little goofy, but there is a quote I always remind myself of during tough hunts. It goes, “He who says he can and he who says he can’t are both usually right.” I’m not sure where I picked this one up, but a little research reveals it was originally said by Confucius. I think the general premise of this quote is extremely applicable to all tough hunts. No matter how tough things are, believing that it can happen can be the key to maintaining your focus. I try and remind myself frequently that the difference between a bad hunt and a good hunt is typically 30 seconds. That’s all it takes to turn you from a “zero to hero” on the hunt. 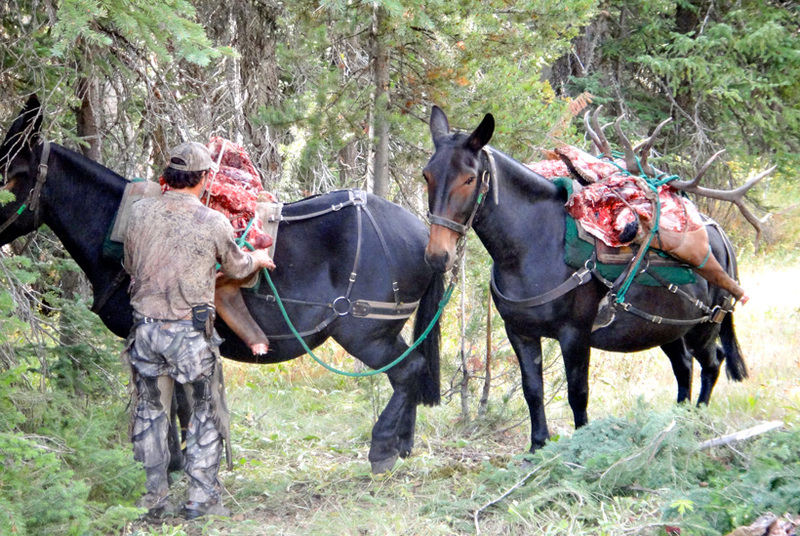 Packing out a bull elk: the conclusion of a successful wilderness hunt. Going into a hunt with the right mindset can be just as important as going into a hunt in good physical condition. Whatever tag is in your pocket this fall, using the little tricks listed above may help make your hunt successful. Great input there guys. Totally agree on the vehicle prep. Just as important as packing your bow or gun! On the vehicle front, making sure you have a spare tire (or two) with the appropriate jack and tool kit. The spare is useless unless you make sure the appropriate amount of air is in that tire as well! You mention reading as a way to stay positive. Totally agree for pre-hunt motivation. This year I also downloaded a bunch of audio books and podcasts to my iphone. The podcasts were hunting related. I downloaded about 10 of them. The book was non-hunting. These really helped clear the mind at night, minimized boredom, keep you awake during long days, lessens the mental challenges associated with hunting solo for long periods of time, etc. I was also surprised how much it helped me stay focused and alert when glassing for long hours, simply because I had something engaging in the background. Very well said on the air in tires, Scott. I experienced that first hand last week while hunting. The cold air was causing my truck tires to go low. My Chevy kept giving me warnings until I was able to head to town. Probably should have topped them off knowing we were in for a big cold front. Great article. A lot better than the standard "don't get discouraged" spill. I would add into one of those weeks, vehicle prep too. How many times have we all had to stop and fill the tires with air on the way out of town!. Good write up ! Thanks for the advice !